Harry & David was founded in Medford and to this day is headquartered here as Southern Oregon's largest employer. The extensive 55 acre campus is comprised of numerous buildings, each housing some aspect of the vertically integrated operations which are the strength and tradition of Harry & David's companies. 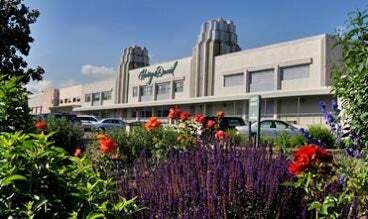 The most visible landmark is the 1937 art deco packing house, a local attraction prominently located along the main highway. The campus consists of administrative offices, an information technology building, packing houses, storage facilities, a candy kitchen and bakery complex, an employment and education center, customer service call center, marketing offices, an in-house advertising agency and much more. Additionally there are 2,700 acres of orchards located around the Rogue Valley. Here, the normal workforce of 1,700 swells to over 6,700 at the peak of the holiday season, with as many as 100,000 calls received in a single day. 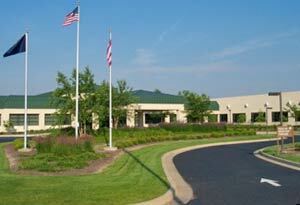 Harry & David's Hopewell campus is located in central Ohio, about 30 miles east of Columbus. Construction began at this 52 acre, partially wooded site in August 1996, and was completed in September 1997, just in time for the new center to assume its role in the heavy holiday season. Hopewell provides a 450 seat customer service call center as well as a 275,000 square foot distribution center for mail order and Harry and David retail stores. The facility has greatly improved service to customers in the Eastern United States. The entire complex, which also includes offices, employee amenities, and gift assembly areas, is fully expandable and currently can accommodate over 3,000 employees. Harry & David has stores all across the country, making it easy to experience our wide array of gourmet delights in person. Discover expertly crafted gifts, exceptional food, Moose Munch® Premium Popcorn, our famous Royal Riviera® Pears, savory snacks, and so much more. We offer exceptional customer service, and our associates are more than happy to help you create your own custom gift basket or find the perfect gift for that special someone. We also have many solutions for business gifting. Explore delicious treats for yourself, come join us for our weekly in-store tastings, and check out our in-store kiosk for an even wider selection on our website. 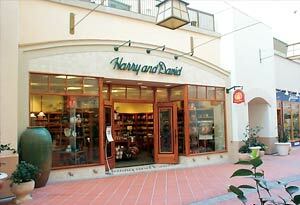 Find a store near you with our Harry & David Store Locator.